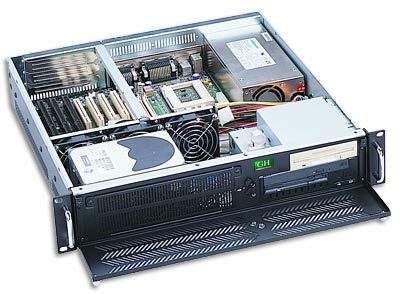 This short depth GUANGHSING 19" Rackmount Industrial Computer Chassis - 2U saves space, but still provides you with 5 x 3.5 bays for your drive space. It also has 3 x 8cm heavy duty ball bearing fans running at 42.5 CFM each to ensure the thermal stability of the system. 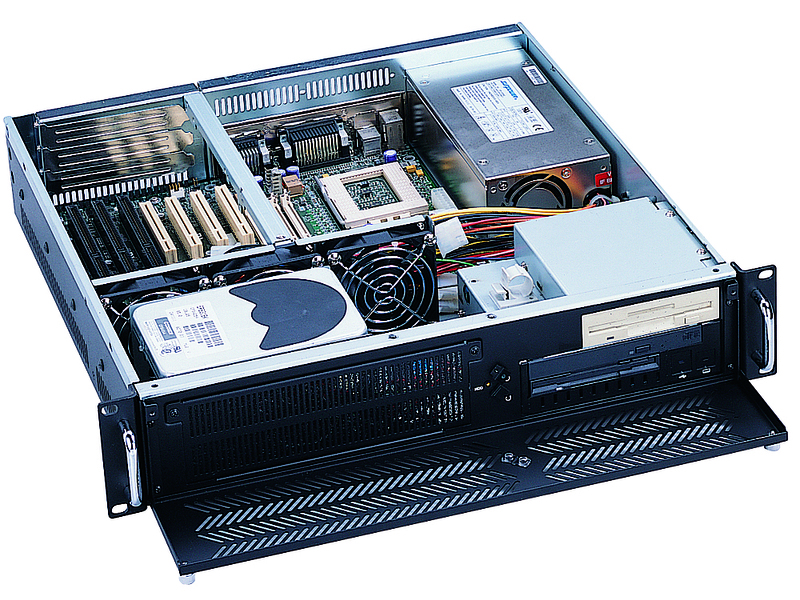 Mainboard Size : 12" x 9.6"
Drive Bays(Open) : 1 x 5.25" & 1x 3.5"
Drive Bays(Internal) : 3 x 3.5"
Product Application : Web Server , Email Serve r, etc.